Dr. Lee has extensive experience providing successful treatment for infants, children, and teens, including those with special needs. 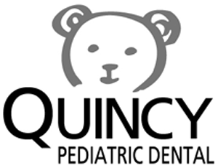 He has comprehensive training in the latest pediatric dental techniques, as well as orthodontics. He studied at the University of Pennsylvania School of Dental Medicine in Philadelphia, where he received his D.M.D. After graduating from UPenn, he continued his studies in the advanced education program at Tufts University in Boston, specializing in Pediatric Dentistry. Dr. Lee is a current member of the American Academy of Pediatric Dentistry, the American Dental Association, the American Association for Functional Orthodontics, the Massachusetts Academy of Pediatric Dentistry, and the Massachusetts Dental Society.